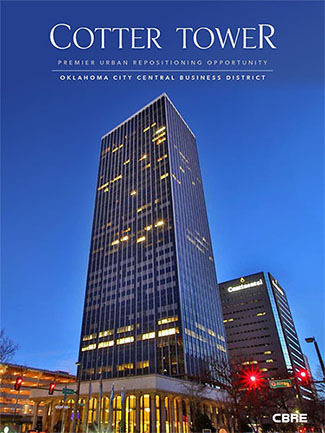 Tenants at the 36-story Cotter Ranch Tower have been informed that BancFirst of Oklahoma City has the building under contract to purchase. 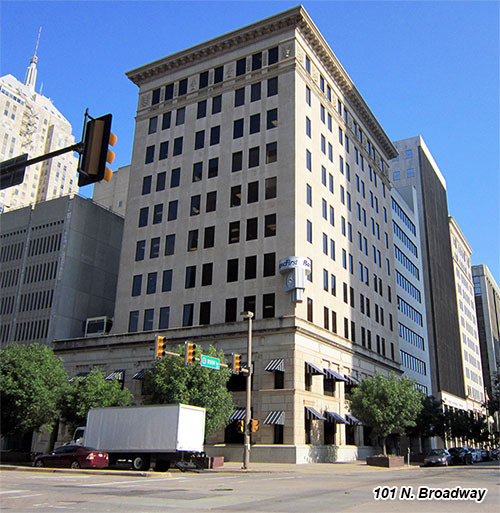 The downtown building, the second tallest in Oklahoma City, has been under bankruptcy since late last year with the court-appointed administrator contracting with CB Richard Ellis (CBRE) to market the property for sale. In February CBRE issued an offering memorandum to a select number of potential purchasers and investors which included extensive detials and financial information about the building. Several local investors showed interest and a few actually contacted larger tenants with questions. The court-approved listed agreement with CBRE included a listing price of $25.5 million, although the contract price with BancFirst is not yet known. James F. Cotter bought the building in 2004 for $27.9 million but when he passed away in January of 2017, a dispute errupted between Cotter's children and his third wife Bettye Ruth Cotter. Courts in San Antonio – where the Cotter business is based – appointed attorney Marcus P. Rogers as administrator to oversee the estate until it can be settled. The structure was built in 1972 at 100 N. Broadway by Liberty Bank and known for years as Liberty tower then Chase Tower. Marketing materials show of its 527,682 square feet, 42% is currently vacant including 7 entire contiguous floors. OKCTalk has spoken to several tenants who have complained about poor building maintenance over the last several years, with problems recently increasing. BancFirst currently owns 101 N. Broadway directly west of Cotter Ranch Tower. They purchased the 100,845 square foot building in 1994 and the location serves as their main office. BancFirst started in 1966 when H.E. Gene” Rainbolt bought the Federal National Bank in Swawnee. In 1989 the company consolidated twelve banks under one state charter. David Rainbolt became CEO of BancFirst in 1992 and oversaw a public offering that resulted in the franchise expanding throughout Oklahoma. On their website, BancFirst claims to be Oklahoma's largest state-chartered bank with more than 100 service locations in over 50 communites in the state. The sale will require court approval and a closing date is yet to be determined.